Who can forget St. Patrick's Day? I was brought up in Northern Ireland and I wouldn't forget it. Of course I knew all about St. Patrick! He was the guy who drove all the snakes out of Ireland so I was happy about that as I absolutely hate snakes. He was the Patron Saint of Ireland and the missionary responsible for bringing the Gospel to the country so I was also very happy about that. Well to be honest I actually wasn't too well versed on St. Patrick himself. I had always heard of him and knew that the shamrock was somehow associated with him, there were cathedrals named after him, and people outside Ireland thought that everyone was called Paddy because of him. I didn't really need to know too much about him when I was young, or maybe I just didn't pay enough attention. When I went to University in Belfast in the late 70's I realised that St. Patrick's Day was used by a lot of people as an excuse to go and have a "Good Drink" but that didn't interest me either. In 1992 we moved to The US to live in the state of Delaware for 3 years due to my husband's work. All I had known about Delaware before that was the song "What did Del-a-ware Boy" that I had often heard my older sister play when I was a child. But because we were going to live there we soon learned some other things about the lovely second smallest state in America and its great location between places like Philadelphia, New York, Baltimore and Washington DC. so people would have places to go when they came to visit us. We loved all the new things we could experience in America, the snowy winters, the hotter summers, and the American accent. In America our children were always being referred to as the Irish kids but after our return to NI our daughter was referred to as the American girl because she had picked up an American accent. "Oh I just love your accent, say something"
what were we supposed to say? While we lived in America we heard about the St. Patrick's Day parades in New York and Boston. They seemed to be very elaborate and of course our children were hearing all about St. Patrick's Day from the kids at school. It was rather surprising to us that Americans would be so excited about the day of the Saint of another country. We also realised that it was much more commercialised than back in Northern Ireland. There was so much talk about the St. Patrick's Day parades and events in America yet we had never been to a St. Patrick's Day parade but that wasn't surprising as there was not a lot of information or advertising of any parades in Belfast or Dublin before we went to live in America. Boston and New York for many, many years. 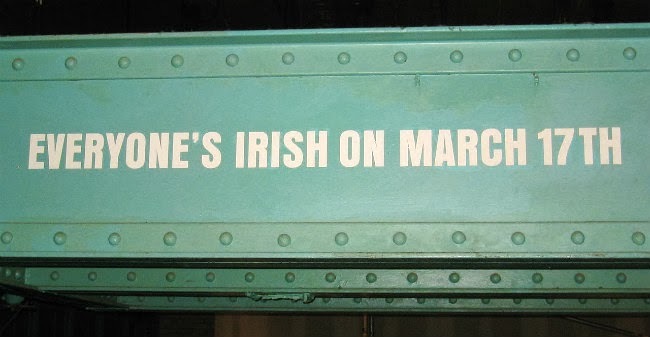 and the first in New York was is 1762.
and the First St. Patrick's Day Festival in Dublin was in 1996. Since our years in Delaware we lived back home in Northern Ireland for 9 years and then went to live outside Brussels in Belgium for over 6 years. In Belgium it was almost like being back in the US when it came round to March each year. Suddenly everyone was telling us about any connections they might have with Ireland and there was lots of talk about St. Patrick's Day, the Irish, and "GREEN BEER"
After Belgium we returned to Northern Ireland but moved to the town of Banbridge in County Down this time. Also in County Down is the town of Downpatrick which contains the burial site of St. Patrick. Banbridge is not too far from Downpatrick and it is also not far from the city of Armagh where I remember many years ago when I was a child spending a lovely summer's day seeing the two beautiful Cathedrals there named after St. Patrick. A few years ago Fred & I finally went to our first St. Patrick's Day Parade and where better to go than to the one in Downpatrick, although I did not have the opportunity to see his resting place at that time my husband, son and I did drive back one day last year to do just that. and also appear to know more about the Irish than the Irish people do themselves. 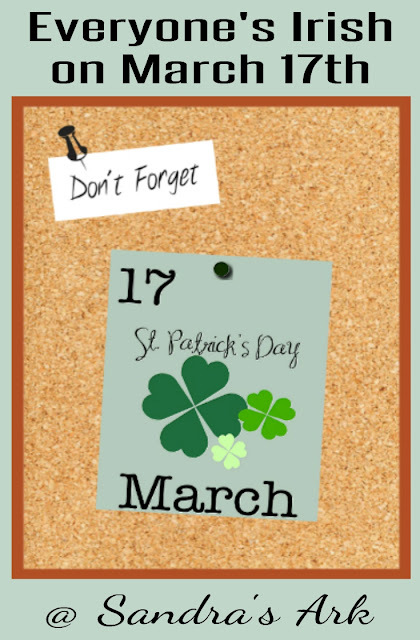 But there seems to be so much confusion between St. Patrick's Day and some myths about Ireland with lots of rainbows, pots of Gold, and leprechauns appearing in the parades and crafts and printables. 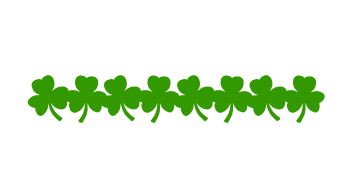 These things make it more commercially appealing; but at the same time a lot of the St. Patrick's Day things are now omitting the man himself and the reason he is our Patron Saint, he brought the Good News of God's Salvation to the country of Ireland. But how can anyone forget 17th March? Well not even Commander Chris Hadfield could forget it while up in space taking and tweeting all his great pictures of the world. He took a great shot of my home town of Londonderry and of course he had the "Touch" of GREEN as well. I had never seen a greeting card for St. Patrick's Day or buns (cupcakes) with green colouring added to the icing etc. 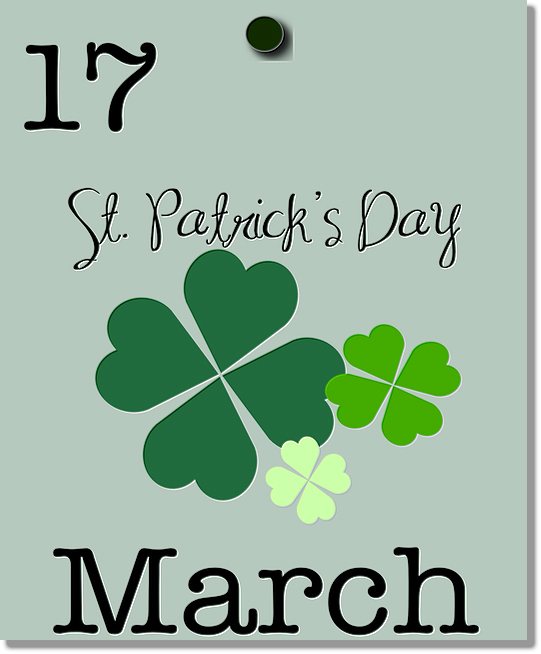 specifically for St. Patrick's Day until I became a blogger and now it is hard to miss them with such a variety of ideas for crafts and recipes. My husband suggested I add my own St. Patrick's day recipe but really he was just thinking of his favourite "wee green things" which is his name for the Peppermint Chocolate Tray Bakes I make for him. I have to admit they are so yummy that they are quite addictive even for me and I am not usually keen on mint. I love St. Patrick's Day. We always grew up celebrating it. Corned Beef and Cabbage. Then when I was about 20 we learned that my Dad was way more Scottish than Irish. But we kept the holiday. :) Interesting to hear of your journey. What a fun article. I was told as a girl that I was 1/4 Scotch Irish. LOL! Some say that's a Scottish man living in Ireland or vice-versa. I really don't know but I do enjoy wearing green and celebrating on or around St Patrick's Day because that means spring is around the corner. What a great read Sandra!! It has always fascinated me how St.Patrick's Day has been so widely and commercially celebrated here in Canada! I live in a University town and things can get a little crazy with the students come St.Patrick's Day! I think it is just an excuse to drink green beer! I am one of those with Irish roots, but have never been to Ireland. My mother has, and my sister several times and says she has never felt more at home then she does in Ireland and could live there in a heartbeat! 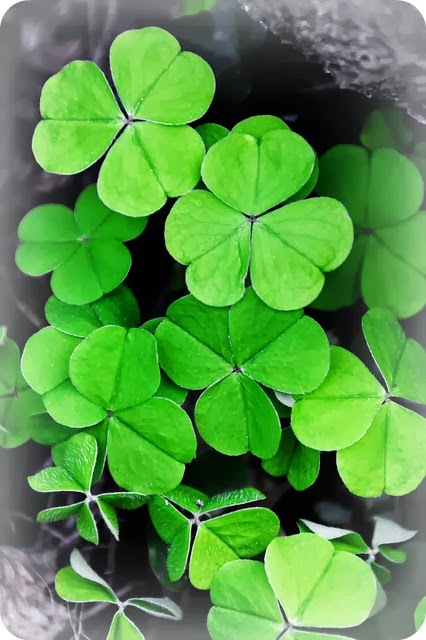 What a fun story, Sandra ~ it took leaving Ireland to hear more about St. Patrick's Day than being back home. ;) I love how you've lived in quite a few different places and how each celebrates St. Patty's Day a bit differently. I have a lot of Scottish/Irish ancestors (some family came over in the 1600's on the Mayflower and others later to Maine and Nova Scotia, although we always thought it was to Massachusetts (where my parents are from). Thanks for the fun history and I'll have to check out Commander Hadfield ~ I do follow NASA and always thought it'd be cool to be an astronaut. Until I didn't do well in Chemistry... Not my cup of tea! Sandra I went to the St. Patrick's Day parade here in New York last year and had such a wonderful time. The parade lasted for at least 4 hours and there was so much festivity and color, and of course kilts and bagpipes. It was very cold that day but that did not stop us from having a grand old time without any drinking!